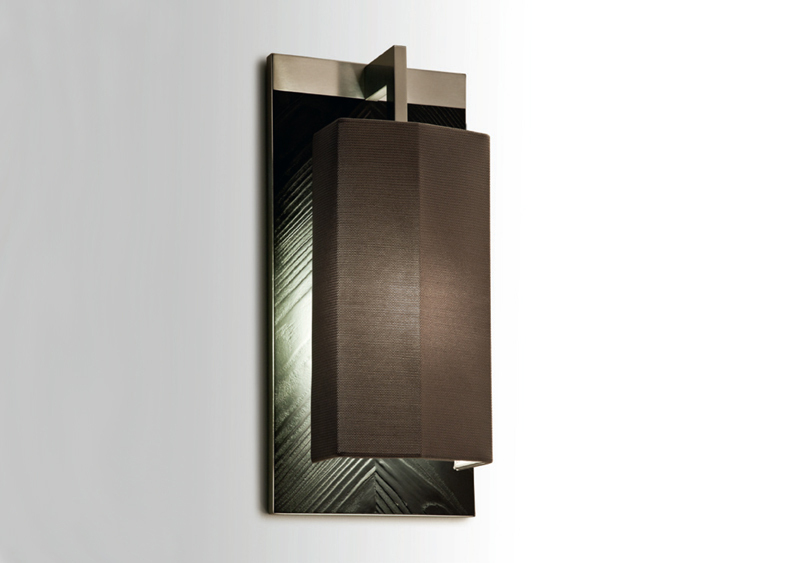 Brushed steel and marine wood frame with waterproof fabric shade in gray. Lamping: E26, 23W max. Steel and marine wood frame.